On Thursday, news of a new tropical storm, Gaston, reached social media, causing panic for those who live in and near Florida and the Gulf of Mexico. Fears only grew with news that Gaston might become a hurricane. 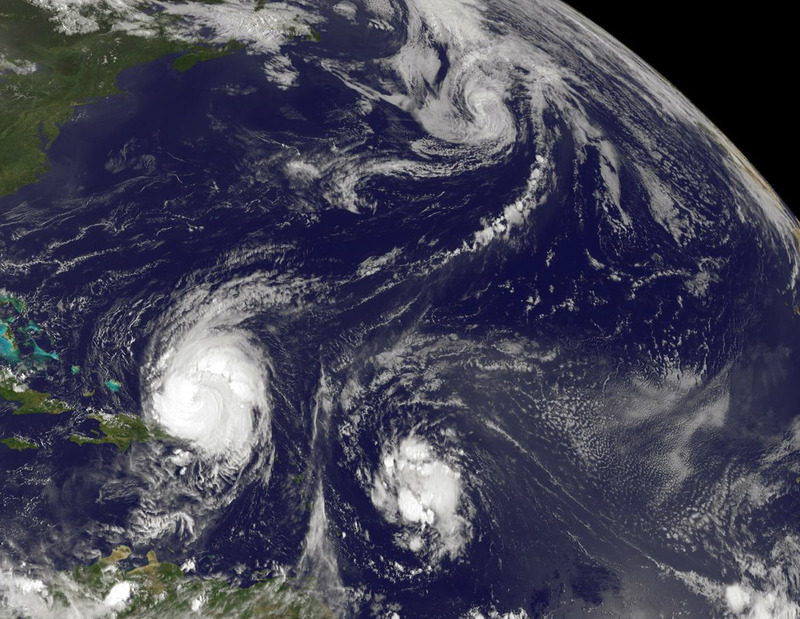 People started wondering: Will Tropical Storm Gaston hit the United States? It's not entirely clear at the moment, but the latest reports indicate that Gaston could potentially become a hurricane, according to the U.S. National Hurricane Center. While the United States may be spared the brunt of Gaston, it's not looking promising for the Bahamas or Cuba: The high winds of the storm itself (which will become Hurricane Hermine when and if it becomes a hurricane) are unlikely to fall in the United States, but the U.S. National Hurricane Center issued a warning for Cuba and the Bahamas Friday morning that said the storm could cause heavy rainfall that may lead to mud slides. They may experience high winds as well. As of the latest notice from the U.S. National Hurricane Center, which was issued at 11 a.m. ET, there are "no coastal watches or warnings in effect." The difference between a tropical storm and a hurricane is kind of confusing, but the distinction lies in the speed of the winds. A tropical storm has concentrated winds that are between 39 and 73 miles per hour, and is upgraded to a hurricane when those speeds exceed 74 mph. While much of Twitter was understandably freaked out by the prospect of a storm hitting parts of the United States, others used the storm's familiar name for meme-fodder. The name "Gaston" reminded some users of the character Gaston, the hyper-masculine fool from Disney's Beauty and the Beast. Gaston became infamous for whining after Belle, the film's female lead, denied his advances. In the movie, Gaston was cheered by one of his friends when he sang a song about how virile and masculine he is. Some even parodied the familiar lilt of Gaston's song, to hilarious effect. Tropical Storm Gaston may not be making much of an appearance stateside, but jokes about the storm and its hilarious namesake definitely made a splash on social media. Let's hope Gaston causes jokes and memes, rather than serious damage.